I thought this was a really refreshing and engaging historical romance that did a brilliant job in transporting me back in time to the Potteries in 1902, where the difference between the lifestyles of the haves and have nots were clear for all to see. 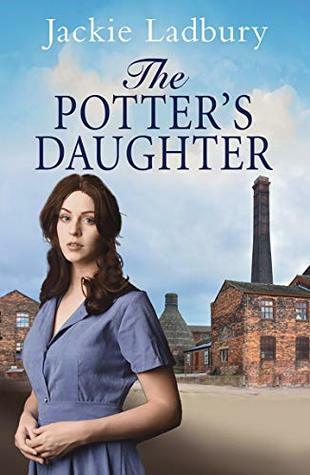 Those working in the shadow of the potteries were living in awful poverty and surrounded by the huge chimneys that caused pollution and very poor health, and this is where Madeline lives with her father and brother. She'd lost her mother 2 years ago so had to had to grow up fast and take on a lot of responsibility especially for her younger brother as her father was out working very long hours. When her brother, and her, are saved from drowning by a dashing young stranger, her life starts to change as Daniel is all she can think of! He is from a wealthy family and dreams of being a Doctor, so she often finds herself ashamed of the state of her clothes and her home around him, but there's a really sweet connection between them despite the differences in their upbringing, and Madeline soon becomes great friends with his sister too. She is an ambitious young girl too and dreams of being a dressmaker and the opportunity arises for her to follow her dreams and she takes it and moves to London. And this is why I liked Madeline as a character so much - she doesn't wait around and pout! Obstacles are placed in her way but she gets on with life and isn't afraid to stand up for herself when she needs too, especially when others are telling her that she's not good enough. If only Daniel would take a leaf out of her book and be a bit more vocal around people who seem to delight in looking down their noses at Madeline. There's plenty going on in this story and I loved the different look at life and attitudes of the different classes of the time. And in Madeline, this book features a young woman who is a real hard worker but has a real caring side and it's nice to find a character who gets rewarded for doing what is right for her.